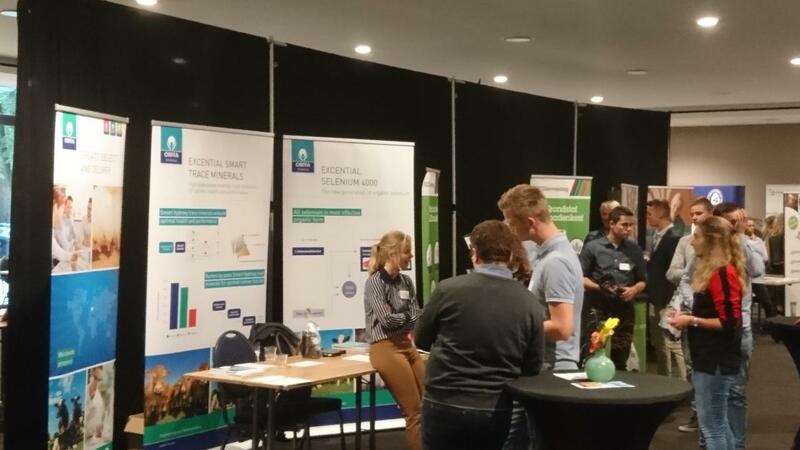 On the 30th of October, study association “De Veetelers” organized a career day for her students of the programme Animal Sciences at Wageningen University. Orffa enthusiastically participated during this day. For many years, Orffa has a close collaboration with Wageningen University and has been a dedicated sponsor of “De Veetelers”. Also during this event, Orffa was present at the exhibition and Arno van der Aa provided a presentation about the activities of Orffa. Orffa is dedicated to invest in both science and upcoming talent in the animal feed industry. The career day was therefore a great opportunity to come into contact with students for internships, theses and job opportunities at Orffa! More than 150 students participated the career day, making this a successful event!